Prisoner photographs taken in Tasmania and elsewhere. “This photo comes from an album showing prisoners in Oxford Gaol. The inclusion of photos in prison records at this early date is very rare. 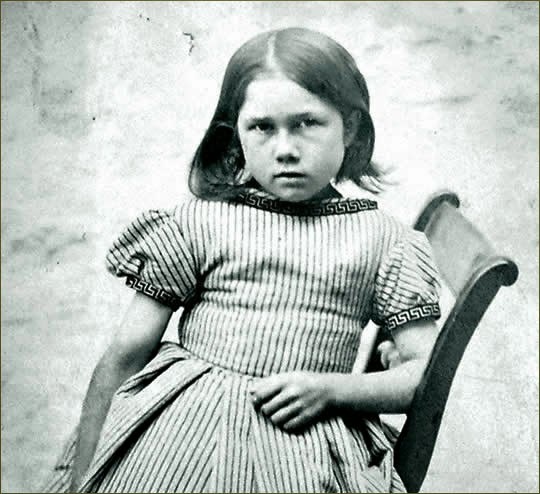 The child is Julia Ann Crumpling, aged seven. 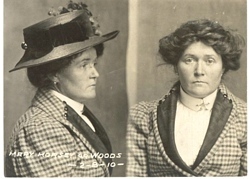 She was sentenced to seven days’ hard labour on 28th June 1870 for stealing a baby carriage. 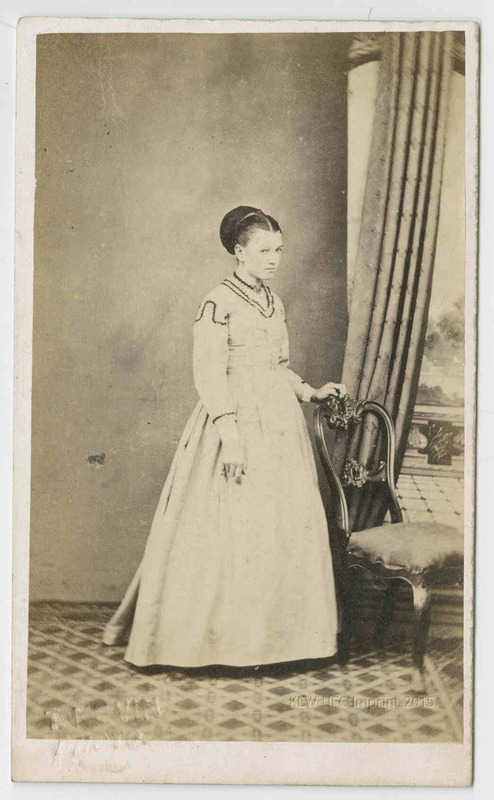 Elizabeth Roberts, aged 15 on discharge. 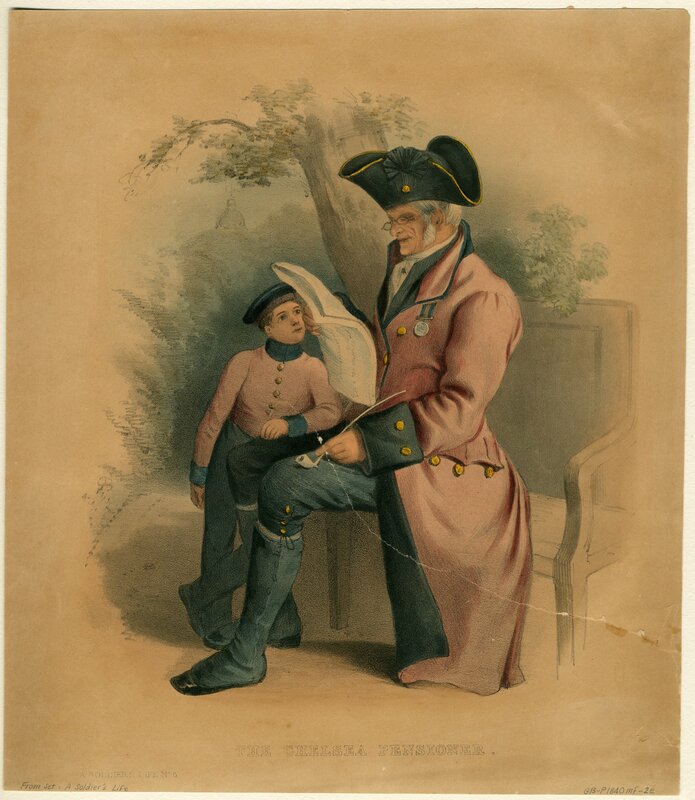 George Page, aged 12 on discharge. Source of all above: National Archives, Kew, U.K. 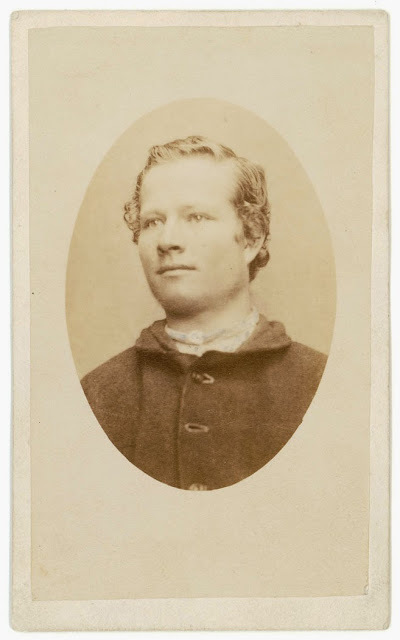 However, the earlier examples of prisoner identification photographs taken by Thomas J. Nevin in the 1870s show a consistent pattern of the subject seated, with sightlines to either the left or right side of the frame. The final image pasted to the record was framed as an oval vignette. This convention of portraiture is also evident in Nevin’s vignetted upper-body portraits of his own family members (sister, wife, sister-in-law, including himself in a self-portrait) and of his private clientele where the subject’s sightlines are diverted to lower left or right of frame. 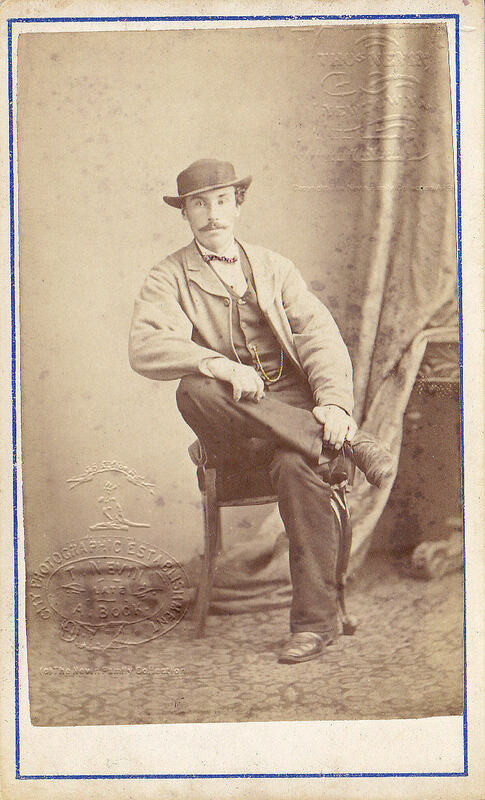 This pose was commercially conventional; it was a technique applied by Nevin to his commission for the 1870s convicts’ identification photographs as well. Within the field of portraiture Australia was no exception in addressing the needs of the state. In 1874 the last remaining convicts and paupers at the Port Arthur penal settlement in Tasmania were photographed according to a set formula; each man was placed in front of a neutral background and photographed in three-quarter view. 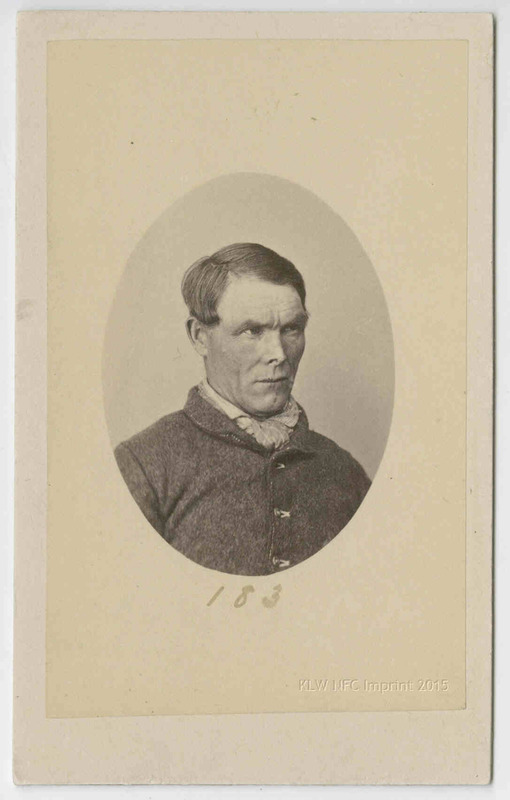 In contrast to the standard commercial portrait in which eye contact was a key component, the convict did not face the camera. His averted gaze reinforced the unequal power dynamics in the relationships between the subject and the photographer and also between the subject and the relevant authorities. 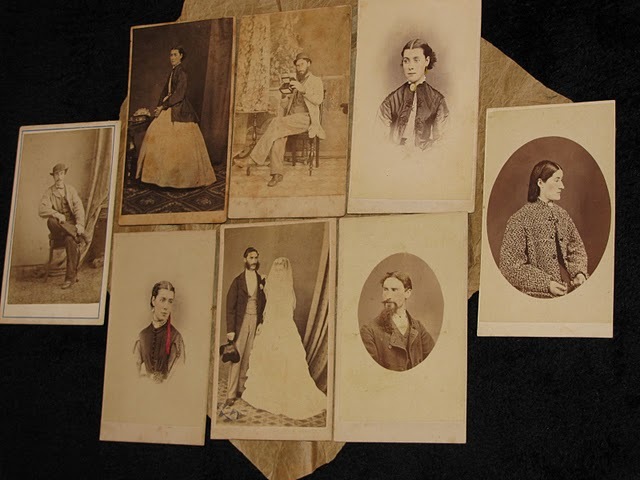 These are photographs in which those photographed are assumed to have no personal or emotional investment; presumably the convicts never saw the final prints over which they had no claim. There are too many presumptions, not enough facts and no substance or proof supported by original documentation behind Ennis’ statements. 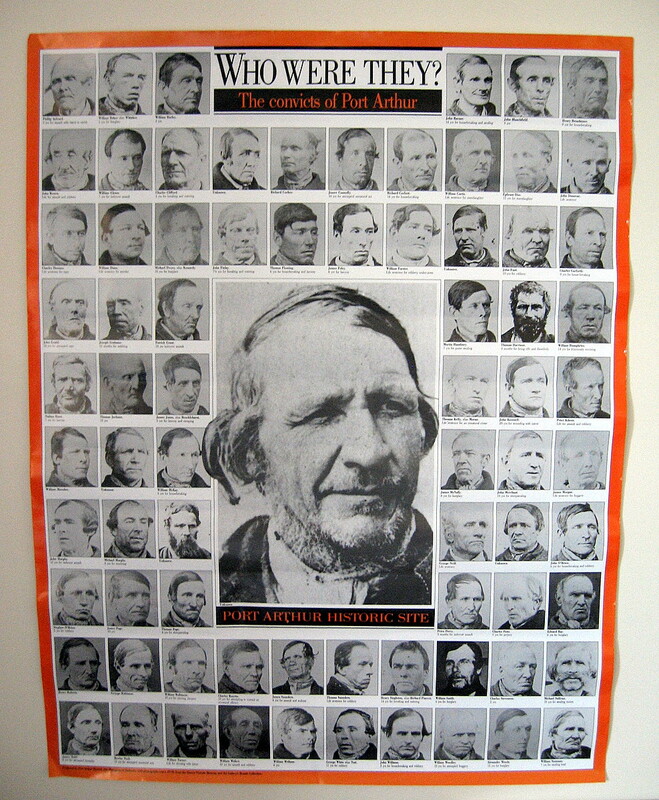 The majority of Nevin’s convict portraits were taken at the Hobart Gaol and the adjoining Supreme Court, and not at Port Arthur. It was not until the mid to late 1880s that the Bertillon method became standard prison photographic practice in Tasmania. 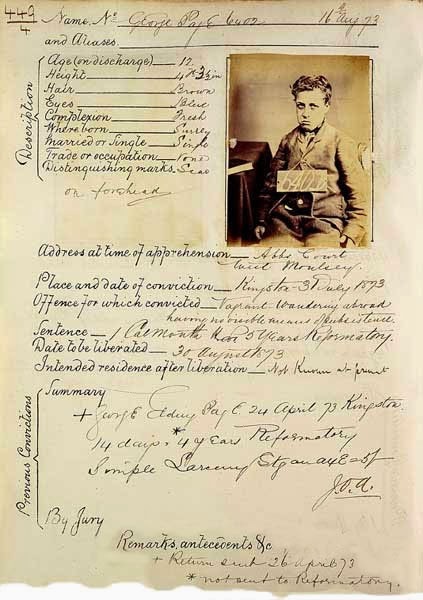 Prison record of convict Williamson with carte by T.J. Nevin, courtesy of the PCHS and State Library of Tasmania, eHeritage collection. 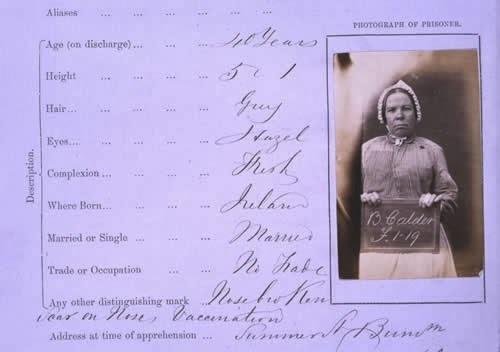 Thomas J. Nevin was the only commercial photographer in Tasmania to produce prisoner identification cartes. 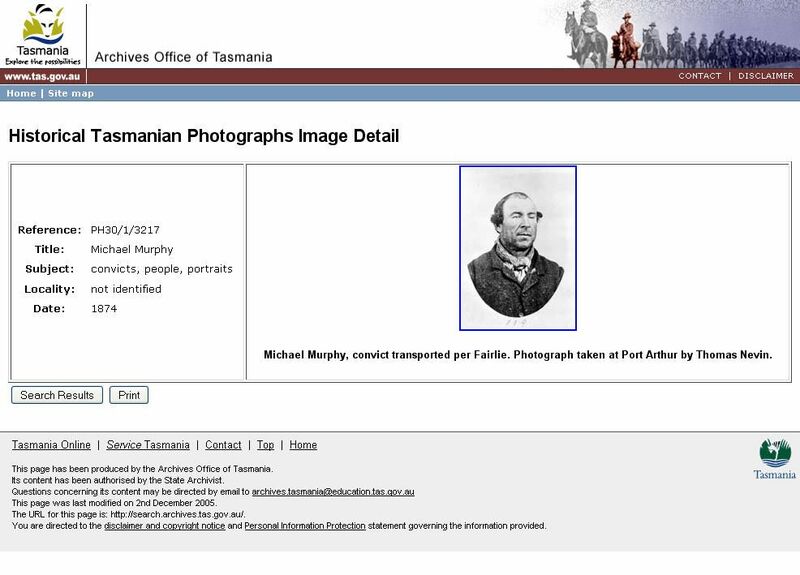 This Rogues’ Gallery, sourced from the National Library of Australia’s collection online (82 images), was archived originally from the 1870s police registers for reproduction and sale in the 1900s. The NLA Collection represents a small number of estrays from the more than 3000 photographs taken by Nevin. In the 20th century, these prisoner cartes have been recontextualised within two types of discourse: commercial interests promoting penal heritage for the tourist industry (eg. Beattie’s Studios 1913, the Port Arthur Historic Site, 2007); and modern and post-modern art historian aesthetics (eg. Long, Crombie,Ellis 2007). Additional prisoner cartes by Nevin are held at the Tasmanian Museum and Art Gallery, the State Library of NSW, the Queen Victoria Museum and Art Gallery, and in private collections. “Police and forensic photography serves the purposes, respectively, of identifying and documenting individuals suspected or convicted of committing crimes, and of detecting and presenting evidence needed to solve crimes and obtain convictions. The former has involved the compilation of rogues’ galleries and albums; the latter, scene-of-crime photography and a range of scientific imaging techniques. During the 19th and 20th centuries two developments were particularly important in relation to police and forensic photography. First, as state administrations became increasingly professionalized, more and more data about citizens were collected. Secondly, the organizational and technical modernization of criminal-justice systems brought science to bear on both police and judicial procedures. As far as identification and investigative photography were concerned, criminological, physiognomical, and anthropological theories were significant, but played little part in everyday practice. The main reason for eventual police and judicial adoption of photography, apart from the medium’s increasing ubiquity, was the widespread belief in the unequivocal verisimilitude of the photographic portrait. In the 1870s, when the authorities in many countries increasingly had delinquents photographed, it was by professional photographers who produced conventionally posed portraits. Although poses were gradually adapted to police requirements, this practice remained widespread until the end of the 19th century; until 1900, for example, the Berlin police presidency used the firm of Zielsdorf & Adler. This period also saw the emergence of the still widely accepted convention that—subject to police discretion—only individuals convicted of fairly serious offences should have their pictures taken and archived. In practice, police and, particularly, forensic photography remained for a long time limited to big cities. Only there did the scale of police organization and the existence of a scientific infrastructure make it feasible to use photographic methods to record clues at crime scenes and evaluate them in the laboratory. But urban criminal investigation departments had to keep track of ever-increasing numbers of suspects. 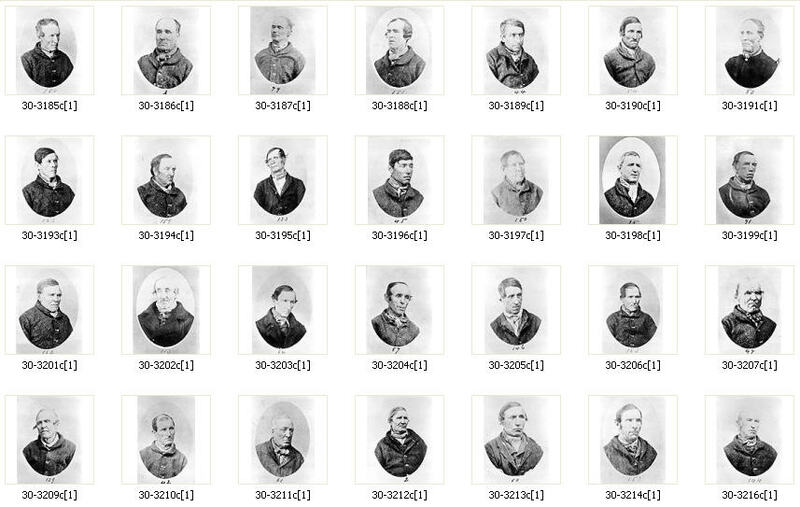 With the ‘rogues’ gallery’, a means was found to classify criminals and sort their portraits in albums or card indexes according to types of offence. The earliest precursors of such collections have been identified in Birmingham, England (1850s-1860s), Danzig (1864), Odense (1867), and Moscow (1867). But systematic picture archives were first assembled in London (1870), Paris (1874), and Berlin (1876), the responsibility for them shifting from prison services to the police. The first attempts were also made to standardize the pictures. But although the anthropological practice of using profile and full-face shots was suggested, it took nearly two decades to be universally accepted. Another challenge was the sorting and classification of the collections, which in a few years swelled to many thousands of images and therefore became practically unusable. The problem was solved by Alphonse Bertillon while he was employed in the Paris prefecture of police at the end of the 1870s. The Paris portrait collection was arranged according to sets of anthropometric data designed to guarantee reliable identification even when the name of an individual was unknown. 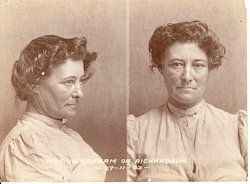 In fact, the system was meant to replace the mug shot as a means of identification, but this did not happen, since photography was by this time too firmly established in police practice. Bertillon therefore worked out rules for a scientifically exact form of identification photography, which were published in Paris under the title La Photographie judiciaire (1890). For police purposes, an individual would be photographed full face and in profile, with the face well lit and, in the profile image, the ear clearly visible. Bertillon insisted that the conventions of commercial portraiture should be completely excluded from judicial photography. 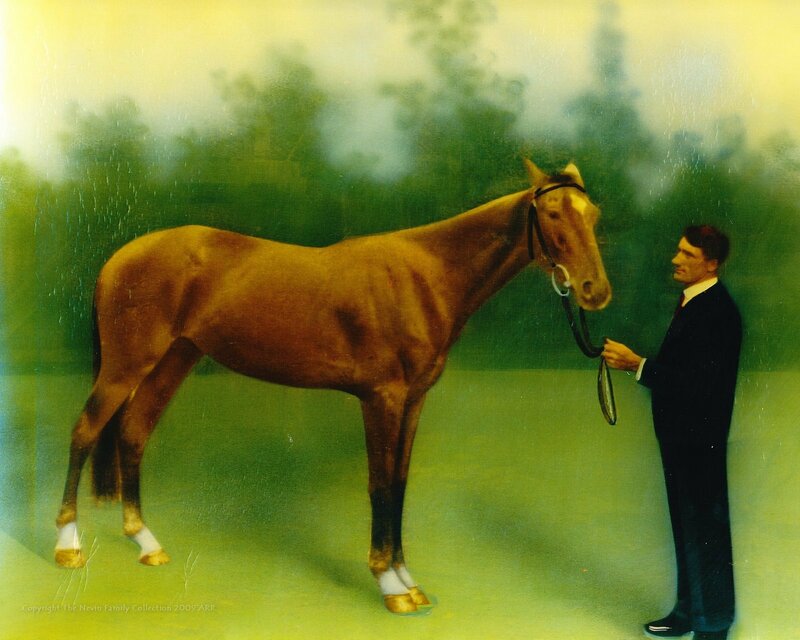 His physical measurement system and photographic rules gained acceptance and by the turn of the century had been introduced in nearly all states. While body measurements were replaced soon after 1900 by fingerprinting, the standardized method of making photographs endured, but was supplemented from the 1920s by the inclusion of a three-quarter portrait. 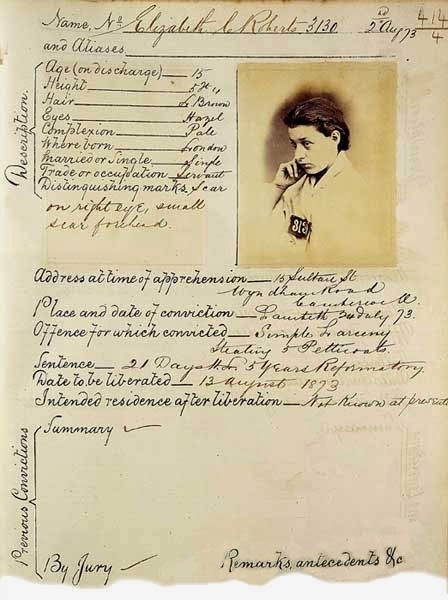 Since the early 20th century, identification data have been exchanged internationally, a practice that increased after the founding of Interpol in 1923. Whenever possible, lists of internationally wanted criminals have been accompanied by photographs. Not only criminal investigation departments but special branch (political) sections made and used photographic portraits for identification and search purposes. As early as 1855, Berlin police president Karl Ludwig von Hinckeldey circulated photographs of ‘revolutionaries’ among his colleagues in other German states. In 1858 the Württemberg political police used photographs in hunting for the Italian republican nationalist Giuseppe Mazzini. Collections of political portraits also grew rapidly. 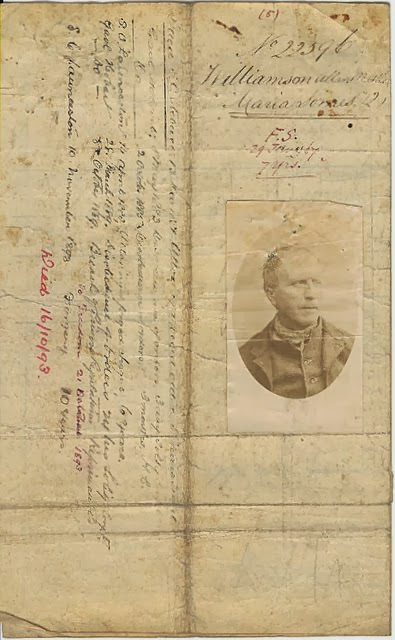 The National Library of Ireland holds an album of 204 pictures of Fenian (Irish Republican) conspirators compiled by Samuel Lee Anderson, a government intelligence officer, between 1865 and 1871; many more Fenian portraits exist in the Irish National Archives. At international level, from 1898 to 1899, a secret album of hundreds of portraits of wanted anarchists assembled by the Berlin political police was regularly updated by pictures of new suspects. The survival of this ‘anarchist album’ in numerous European archives indicates how far reaching such cooperation was. Scientific examination of picture collections from an anthropological or physiognomical perspective was not actually done by the police themselves. Significantly, the two best-known users of criminal portraits, the Italian Cesare Lombroso (1836-1909) and the Englishman Francis, began their work before Bertillon’s reform of police photography. Lombroso, a doctor and eventually professor of forensic medicine and hygiene in Turin, attempted in his book L’uomo delinquente(1876) to prove both that criminal tendencies were hereditary and that they could be identified from particular physical characteristics. To this end he had visited prisons, made body measurements of prisoners, and collected pictures of criminals. After the appearance of his book he continued to work on the subject, and by the turn of the century had a large collection of criminal portraits obtained from governments in Europe and overseas. Although his theory was heavily criticized, and was never accepted by experts, it became popular. So too with Galton, who began his research a few years after Lombroso. He too believed in the heritability of mental traits, grappled with the phenomenon of criminality, and used official pictures. His method was to make composite copies of portraits of different people in order to arrive at an ‘average’ deviant physiognomy. His major work, Inquiries into Human Faculty, containing papers written since 1869, appeared in 1883. But his theories also failed to convince his peers, and there were no further attempts to examine criminals or criminality on the basis of police portraits. Undeniably, however, a certain image of ‘the’ delinquent did emerge in the popular imagination, and persists as a visual code identifying certain characters as criminals in literature, comics, films, and tabloid newspapers. Alongside photography’s role as a means of documenting individuals, it is an important tool in solving crimes. Narrowly defined, forensic photography serves to identify and document clues. Crime-scene photographs were made in Lausanne as early as 1867. Photographic exposure of forgery, and revelation of handwriting invisible to the eye, also took place before the end of the 1860s. But it took decades before such evidence became widely acceptable in court. Eventually in Germany, however, the forensic chemist Paul Jeserich from Olmütz and the Berlin court official Friedrich Paul formulated convincing procedures for photographic clue gathering; Paul’s 1900 handbook, complete with gruesome images of murders and accidents, also provided a fascinating history of the whole subject and a review of current practices. Rodolphe Reiss, professor of judicial photography at Lausanne University from 1906, played an equally important role in Switzerland. After the turn of the century the celebrated Austrian criminologist Hans Gross (1847-1915) also lent his authority to the cause of forensic photography. In this more favourable climate an increasing number of police forces created their own studios or modernized existing ones, among them those in Vienna (1899), Berlin (1900), and London, where in 1901 Scotland Yard could finally give up using commercial photographers. Such developments, reflecting the increasing professionalization and scientific sophistication of police work, have continued up to the present. Promising technical advances have been rapidly adopted by police specialists, while tasks unsuitable for police laboratories have been handled by outside institutes. At the beginning of the 21st century, conventional and photography continues to play an important role in police work, ranging from long-established, technically straightforward activities such as surveillance and traffic monitoring to the use of sophisticated equipment to show minute objects and invisible substances. Paul, F., Handbuch der criminalistischen Photographie für Beamte der Gerichte, Staatsanwaltschaften und der Sicherheitsbehörden (1900). Phéline, C., L’Image accusatrice (1985). Regener, S., Fotografische Erfassung: Zur Geschichte medialer Konstruktionen des Kriminellen (1999). Hamilton, P., and Hargreaves, R., The Beautiful and the Damned: The Creation of Identity in Nineteenth-Century Photography (2001). “Police and forensic photography.”The Oxford Companion to the Photograph.